We’ve heard this line many times in the fantastic movie Field of Dreams. Unfortunately, many companies use a “build it and they will come” approach to marketing. Don’t think that just because you produce content that you’re doing content marketing. Content marketing is much more than that. How does he get paying customers to come? As a marketer, what would you suggest? Videos of the players warming up, the games, and interviews with each player. A video of the construction of the field and the whole story behind it. Infographics comparing stats of current players with the Field of Dreams players; showing what these old-time players’ stats would look like if they never stopped playing. Possibilities are fun and almost endless. Webinars featuring instruction from different players on hitting, pitching and fielding. 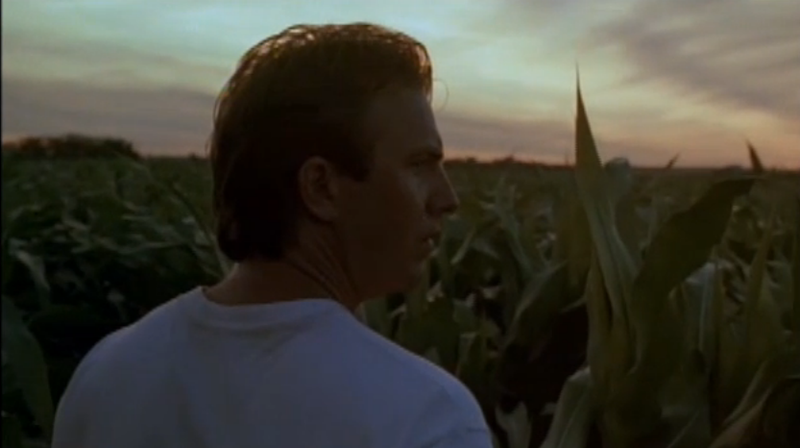 An e-commerce website that sells tickets and baseball merchandise and also houses all the details about the Field of Dreams. The list of possible content to create goes on and on. But still, we haven’t really begun to talk about content marketing yet. What segments can we break our audience into? What content appeals to each segment? Where is our audience hanging out? Where are they most likely to be receptive to our messages and content? When is the best time to reach them on the channels we identify? What content is most appropriate for each audience segment and each channel? Why would this audience want to share the content we create? Where are they most likely to share it? What content can we take and repurpose for different channels, different objectives and different audiences? As you can see after only 10 questions, content marketing is about delivering the right message to the right person at the right time. You want to deliver the content your audience wants in all the places they are searching for it. And you want the content to be so relevant that your audience will share it with others, giving you referral traffic back to your website. These 10 questions are just the beginning. You should come up with many more to create a solid content marketing plan. Ray Kinsella would have never built his field if he hadn’t heard that voice: If you build it, he will come. There’s an important lesson there—take time to listen. If Ray is smart, he will take time to talk with fans who come to his ballpark. He’ll ask questions and keep listening to find out why people come to his park and what would get them to keep coming back. He’ll get his best ideas by building trust and relationships with his customers and he may be able to share their stories, too. When you know your customers very well—and take time to listen to what they say, what they want—you will never run out of ideas. But you might run out of resources. So, don’t forget, after answering all the questions involved in creating your content marketing plan, you then must build your strategy based on the resources you have available. Keep the tasks you can’t yet do on your wish list and focus first on the priorities of your audience and the channels it makes most sense to be on. If you do things right, they will come, they will buy, and they will share with others. To read more about content marketing, check out 22 Must-Read Books for Content Marketers. If you live in the Philadelphia area, join the Philly Content Strategy Meetup group. This book, by Michael Hyatt, read much like Rework did—in short, quick bursts—only Hyatt’s book crammed in a lot more knowledge sharing. The incredible amount of information he stuffed into this book is alone enough reason to buy it. 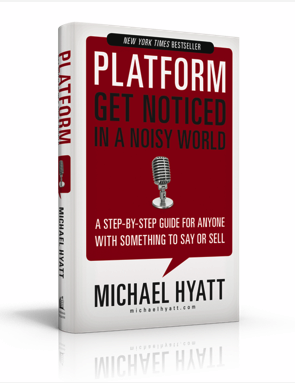 Platform: Get Noticed in a Noisy World has another subtitle: A step-by-step guide for anyone with something to say or sell. Honestly, my only negative feeling about this book comes from these titles. I feel like it should’ve been named something else, but I’m not quite sure what. He didn’t get into the whole platform thing right away, and that kind of threw me. If you’re trying to build a presence in social media and/or readership for your blog and are hoping this parlays into speaking engagements and more, read Platform. You will not be disappointed. I was familiar with much of the instruction included in Hyatt’s book, but even so, each chapter kept giving me more and more info and energy. I wished Hyatt had released this book when I first entered social media (thank God for MarketingProfs instead). Pretty much everything you need to know as a blogger is in this book. Hyatt is also very generous in offering up some of his own copy for your use. His advice on using disclosures and certain disclaimers to protect yourself, includes giving us the actual disclaimers he uses. So, we don’t have to start from scratch. In my opinion, a sloppy blog post shows you don’t care enough about your audience. Yes, errors here and there are forgiven, but you will lose readers if you consistently publish blog posts with errors in them. Write your draft, let it sit for at least an hour, then go back and proofread it. If you’re not good at proofreading, then scan it once forward and once backward to help you catch more typos. In Chapter 29, “Create a Better About Page,” Hyatt offers up 13 tips on how to make this page better and also includes his own About page as an example. Thirteen tips on just the About page. That should give you some idea of how the whole book goes. Hyatt is more than generous in sharing his knowledge and giving advice. And almost every chapter uses bullet points or lists to help you cruise right through. As if his book isn’t enough, he even provides a list of more resources at the end. My suggestion? Buy the book. Maybe even buy two and share it with a friend. This is one you’ll keep going back to refer to, even after you’re out of the beginner stage. Best Commercial of 2012 So Far? When this ad first started, I thought it was for a smartphone—iPhone, HTC—and mobile cloud capabilities. But, no, it was about something bigger than that—Google+. Who hasn’t lost their phone (or their camera) and mourned the photos lost forever? This story is something most people can connect to—even those who aren’t parents. Losing the contact list alone is enough to make us cry, but losing pictures? Good grief. How cute is that baby? There’s such a feeling of happiness while we watch these photos go by that we (the audience) can really identify with the pain of losing these photos. 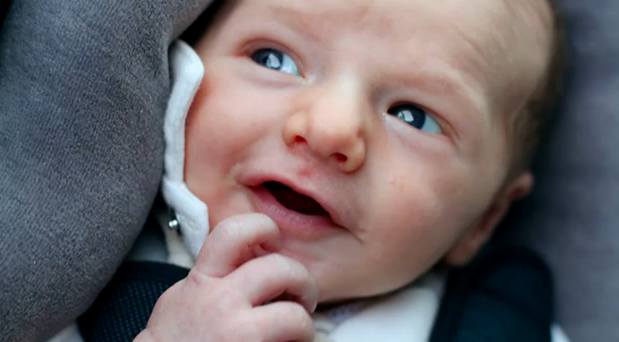 Did you catch yourself smiling, laughing or saying “aww” while the photos flashed onscreen? If you didn’t, then you’re made of stone and who needs you as a customer! But, the fact that we are captivated by the baby photos means that the ad is doing exactly what it’s supposed to. We don’t want this guy to lose his photos—we’re invested in the story. With Google+ Instant Upload, every picture you take on your phone is instantly backed up to a private Google+ album. It’s a simple way to make sure you never lose another memory. This is from Google’s YouTube page, and the copywriter has certainly done a great job here. Bonus: Brilliant choices that may seem subtle or unnoticed by the audience. Notice, most of all, this ad is not called “New Mom.” It’s “New Dad” for a reason. Okay, one reason is because it’s a true story. But the other reason is that by having the dad narrate, the ad reaches a broader audience of women and men. Nearly 70 percent of Americans ages 25 to 34 own smartphones—a target audience every business wants to snag. Overall, 50.9 percent of women and 50.1 percent of men own a smartphone. * So, it’s awfully smart to appeal to this entire audience, and Google+ does a fantastic job of that. 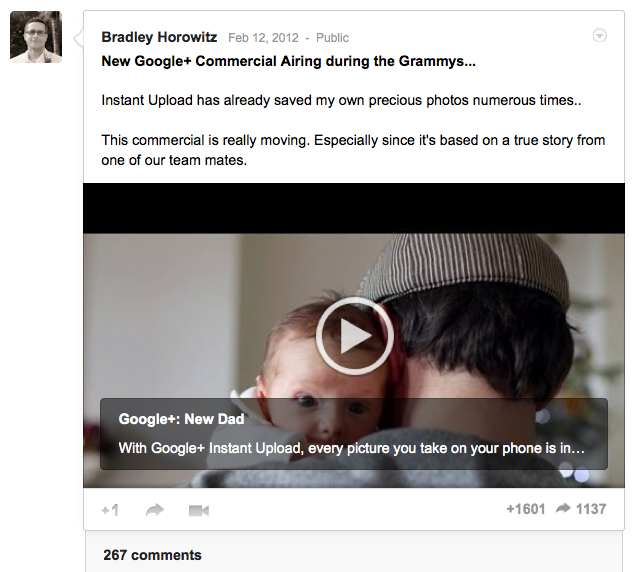 Now, whether this actually draws people to use Google+ is another story. Do you think it will work? *Source: Zeman, E. Men Are From Mars, Women Love Smartphones [commentary online]. Information Week. May 7, 2012. Almost 1 billion people are on Facebook. As a marketer, brand or small business, how do you take advantage of that huge audience? Attend the Advanced Facebook Ads Conference hosted by Social Fresh. Get advice from 22 of the top Facebook marketers in the world. You don’t even have to leave your office or home. The entire event is online and takes place from June 19 – July 13, 2012. I admit, when I first saw this advertised I was intimidated by committing to this month-long event. But there’s no pressure. You will get your money’s worth because if you don’t have time to view the session live, you can watch it later—up to 6 months later. All sessions will be recorded and placed online for you to view on demand. You can come back as often as you want to replay sessions you missed and make sure you get the most out of the content. Each presenter will be available to answer questions on Fridays during the conference. If you’re like me, your most important questions often arise hours or days after the presentation. Now, you can still get those questions answered and see what other people are saying too. All attendees will be invited to a private Facebook group. Each presentation will have a thread in the group where follow-up conversations and questions can live. You won’t miss out on the conversations and education that usually happen in between workshops at an in-person event. This will be available for 6 months as well. You will be able to download MP3 recordings of all sessions. Listen to them in the gym, in your car—anywhere. Social Fresh is making sure their Facebook advertising conference is convenient and accessible for everyone. As if 22 presentations (and 5 pre-conference ones) weren’t enough, you also have access to several bonus presentations. They’re listed on the Facebook Ad Conference website and include digital marketing topics even outside of Facebook. Hurry up and sign up now to get a discount on pricing. You’ll save $300 if you register by June 18. Facebook advertising can be confusing, but it doesn’t have to be. And now that Facebook has gone public, you can bet advertising options will ramp up regularly. Don’t get caught lagging behind. With the variety of topics and quality of presenters, within one month you will soon be an expert on Facebook advertising too. Sign up today to secure your spot. Use coupon code “SOCIALFRESH” to save $150. Disclaimer: Though I have no connection to this Facebook ad conference, I am blogging about it in hopes I’ll be given a free pass. I don’t want to miss this conference because there’s such a wealth of content being shared. So my excitement about it is sincere.